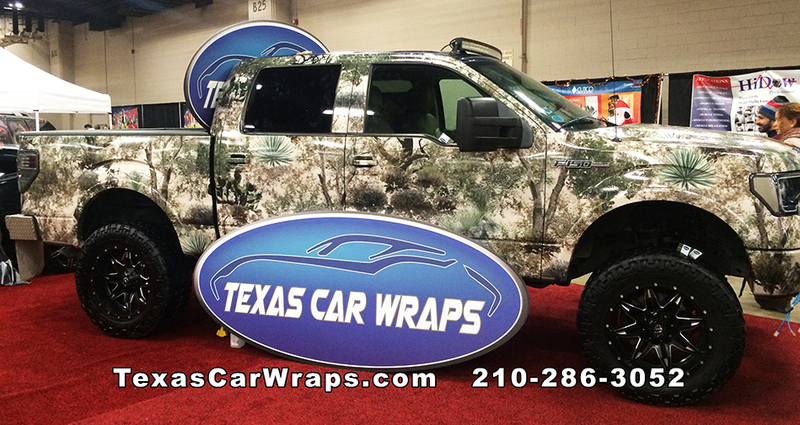 Texas Car Wraps is the leading producer of quality adhesive vinyl vehicle wraps in San Antonio, TX. 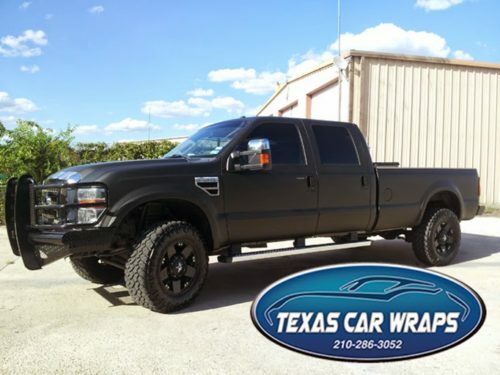 Our many years of experience in the computer graphics industry surpass any other automotive wrap supplier in the Central Texas region. 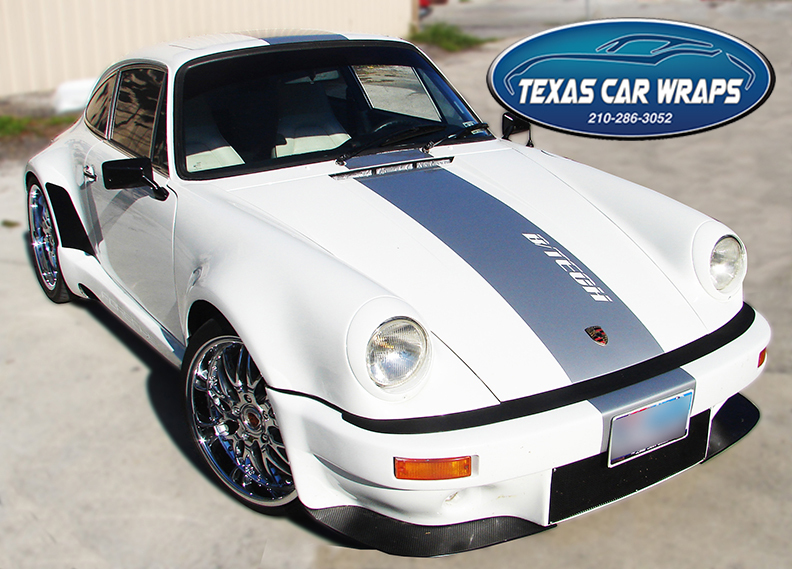 If you are looking to customize your sports car, truck, or SUV, call us at 210-286-3052. 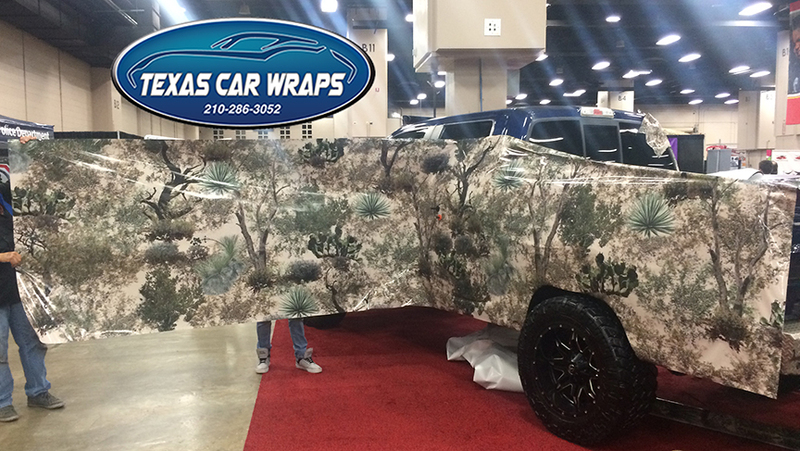 You can visit our online vehicle wrap gallery to see some of our latest work. Our certified vehicle installers are experienced in the fine art of making a vinyl automotive wrap look like a custom paint job. Some of the products that we regularly use are 3M 1080 and Avery SW900 automotive film. With different styles and colors, we are able to produce brilliant chrome, matte, carbon fiber, reflective vehicle wraps. 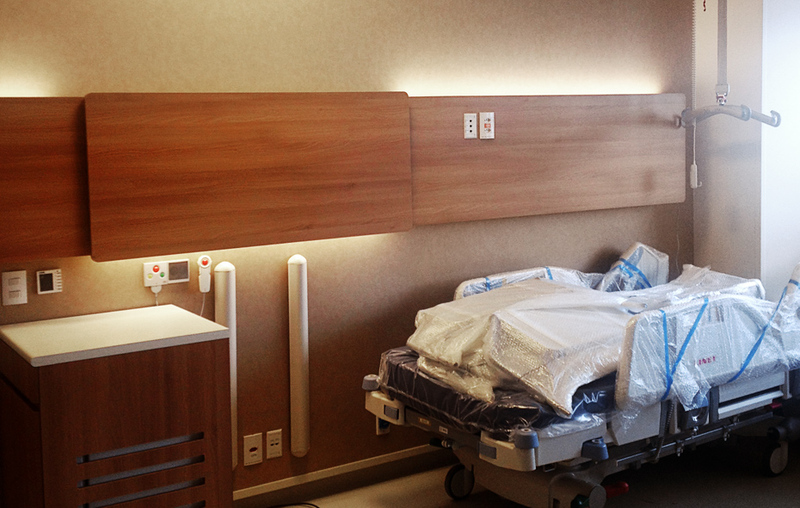 Additionally, we have 3M DI-NOC specialty films in wood grain, leather, and metallic. 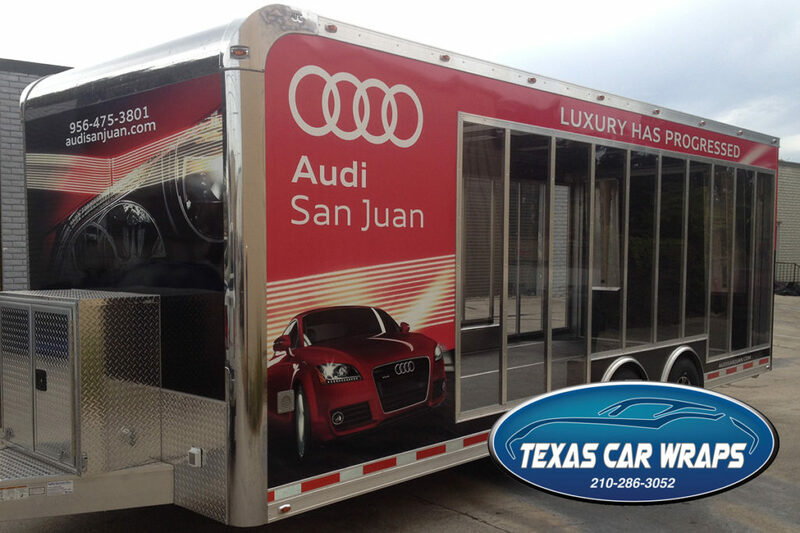 Texas Car Wraps produces high quality trailer wraps for various industries in the Central Texas Area. 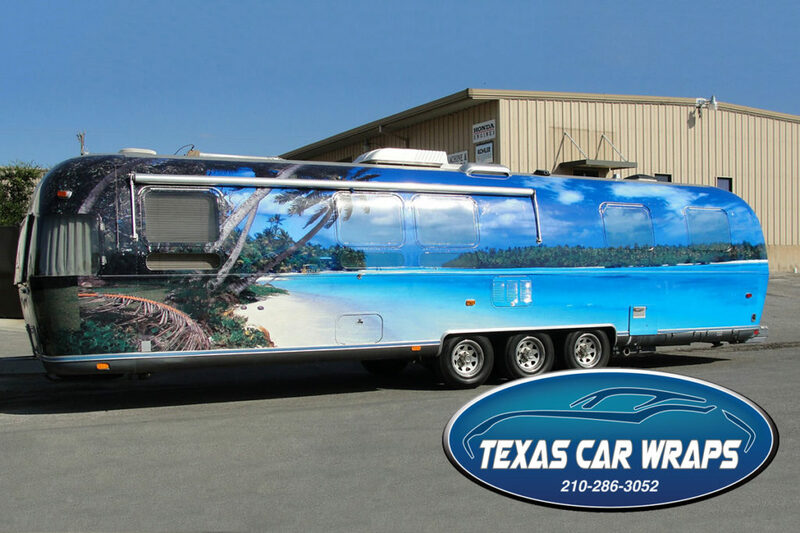 Trailer wraps are a great way to advertise your business or organization to large groups of people – who will not only see your custom graphic at events, but also while in transit to different locations. Trailer wraps are more effective when a matching truck wrap is utilized to create an impressive visual effect. Many examples of wrapped vehicles can be seen at www.TexasCarWraps.com or at www.SanAntonioCarWraps.com. 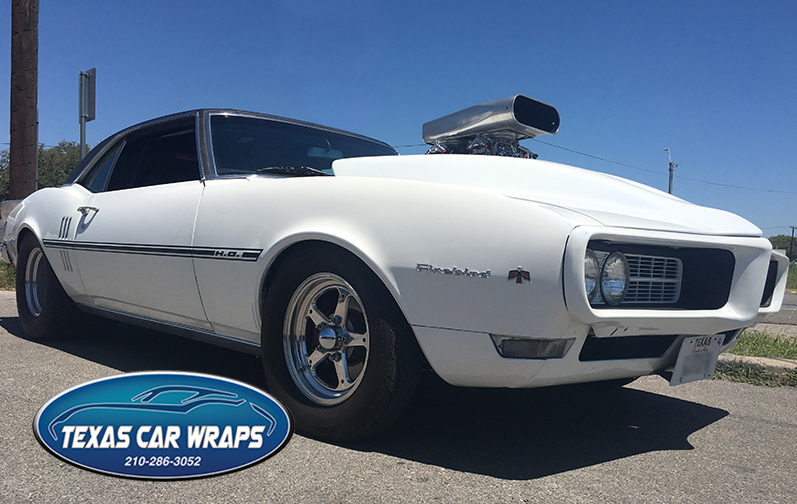 With proper care, a professionally produced vehicle wrap can last up to 7 or more years, and easily create millions of impressions or views during its lifespan. 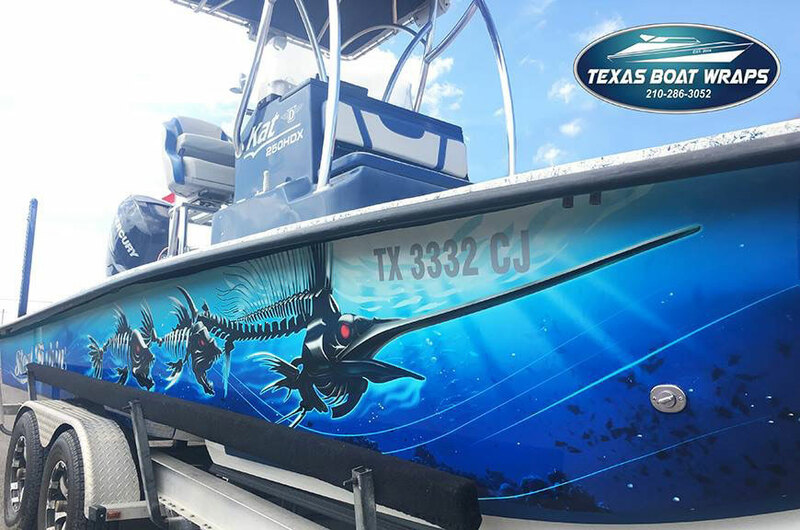 Trailer graphics are commonly purchased by oil field companies, high school bands, catering companies, grocery stores, plumbing companies, air condition companies and various other types of businesses that want to generate increased awareness and sales with an affordable form of advertising. 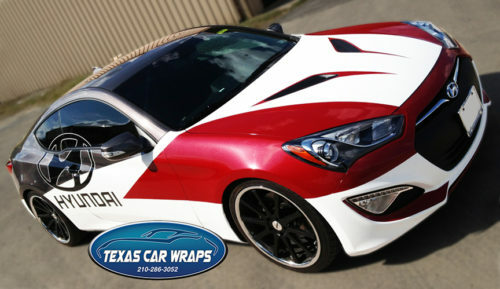 TexasCarWraps.com is a leading producer of vehicle wraps and automotive vinyl graphics in the San Antonio, Texas area. 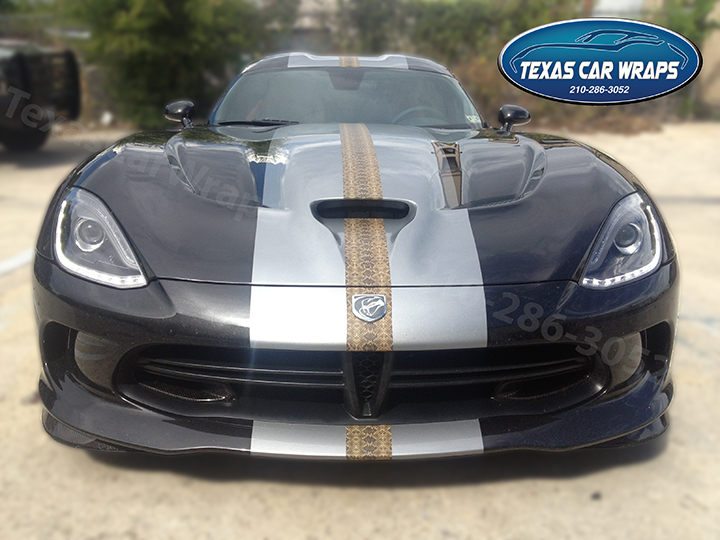 Custom racing stripes are a great way to customize your sports car into a “one of a kind” show car. 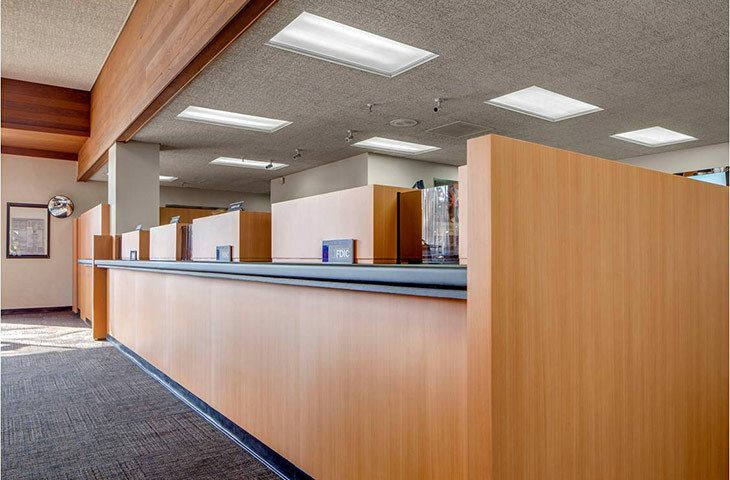 We use top quality materials and we carry specialty vinyl films such as carbon fiber, matte black, metallic, gold and chrome films. 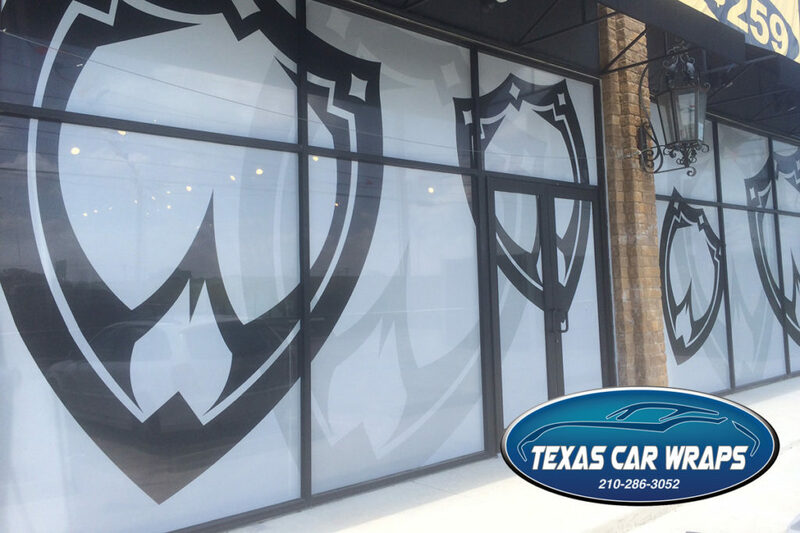 We also utilize a knifeless cutting system to trim excess film and preserve the paint on your high end vehicle. Texas Car Wraps has produced custom graphics and pin stripes for Ford Mustangs, Chevrolet Camaros, Corvettes, Porsches, Dodge Vipers and many additional high end sports cars. 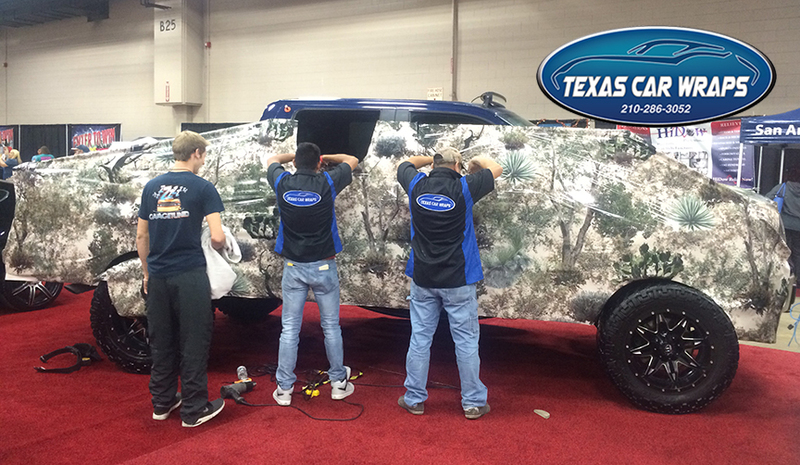 Our 3M installers will make your vehicle wrap look amazing! 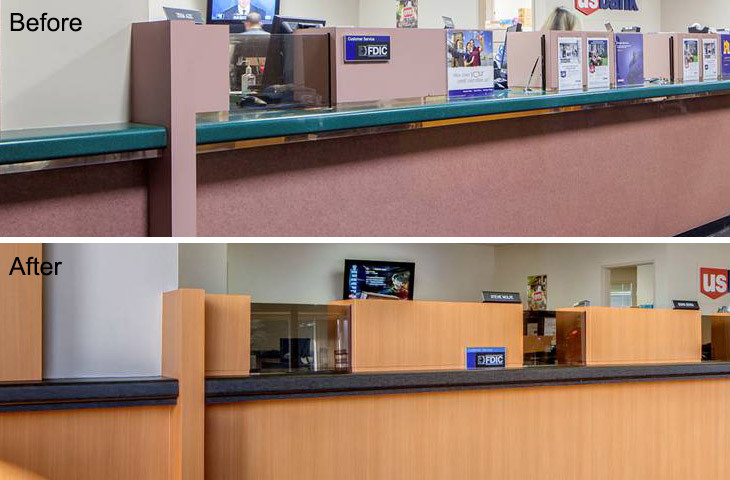 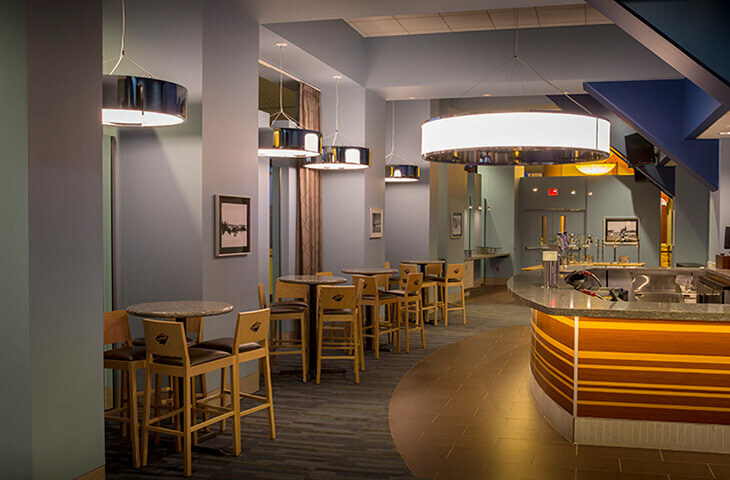 Our graphic designers can produce and die-cut vinyl racing stripes to any shape or style. 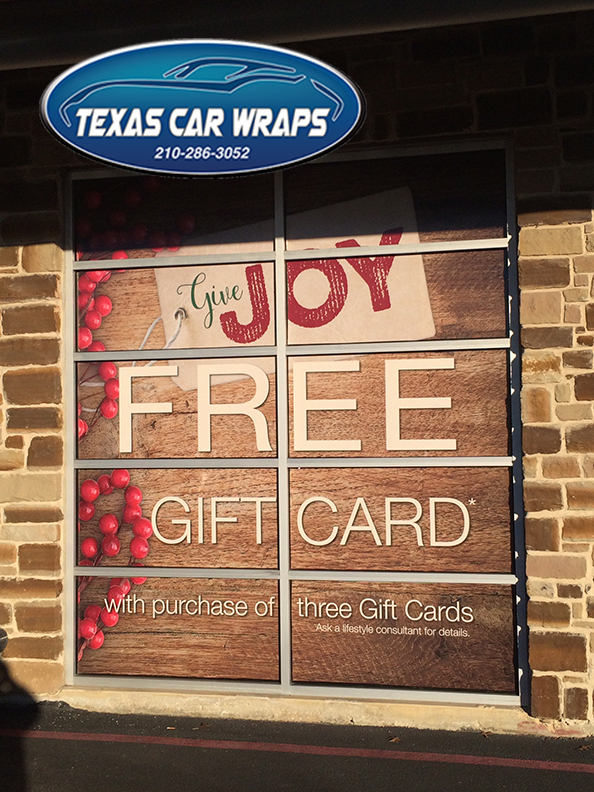 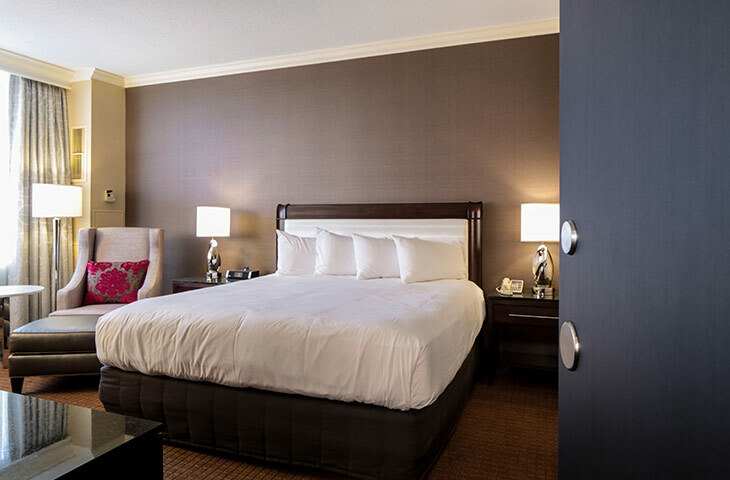 Our 3M installers based in San Antonio are experts at adhesive vinyl graphic installations. 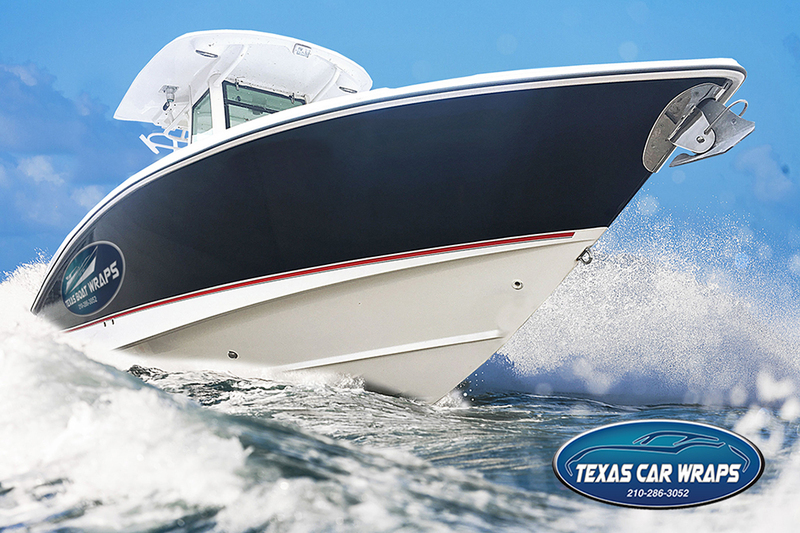 Call us for an estimate on a custom design for your sports cars. 210-286-3052 Or visit us online at www.TexasCarWraps.com We service the San Antonio, Helotes, Rockport, Port Aransas, Corpus Christi, Austin, Houston, Dallas, Laredo, Brownsville Rio Grande Valley areas of Texas.